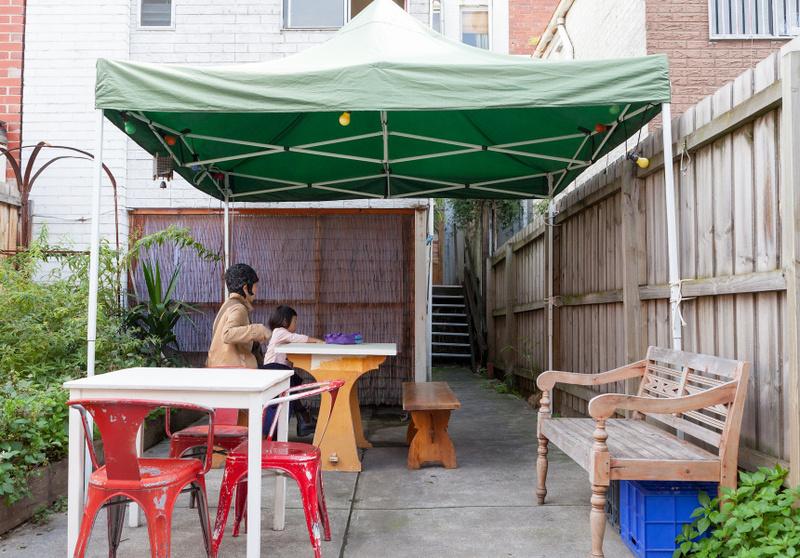 Spread over two rooms and an outdoor courtyard, the 30-seat Papirica – an Ainu Japanese word meaning “good harvest year” – is simple and inviting. There’s indoor plants, second-hand furniture (including an old school desk), a blue floor and knick-knacks from Matsuda’s life, such as his Hokkaido bear sculpture. Owner Yutaka “Matsu” Matsuda, originally from Osaka, did stints at Carolina, Milkwood and Manchester Press. 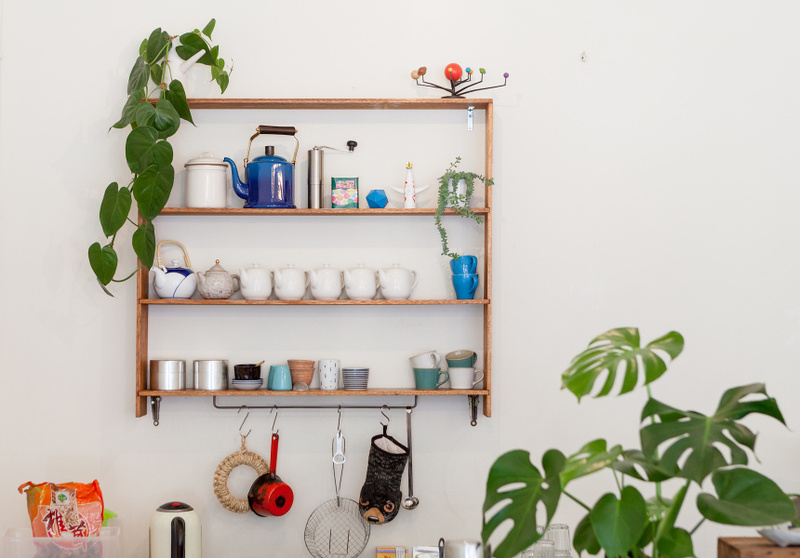 Then he opened his Fitzroy Japanese homewares store, URA. 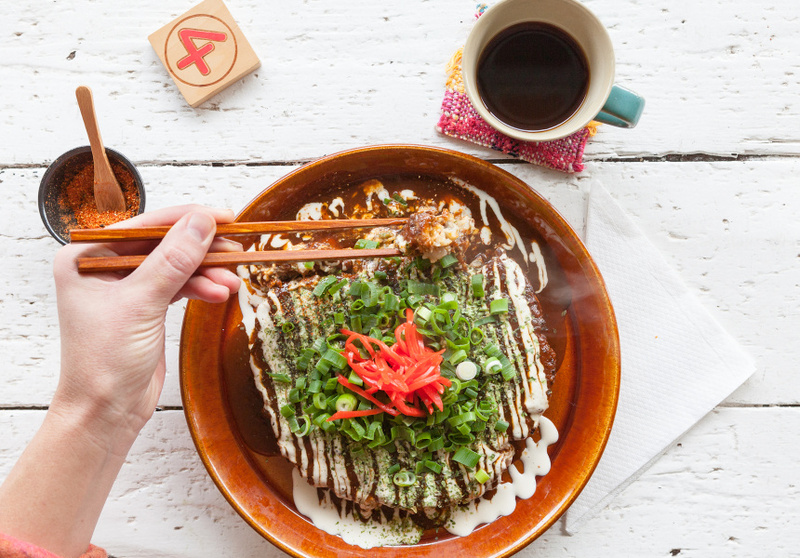 Papirica’s simple menu includes Osaka-style okonomiyaki in vegetarian, vegan or pork options, with mochi rice cakes, cheese and kimchi add-ons. There’s also teriyaki chicken or nasu dengaku (vegan grilled-eggplant) sandwiches; a small breakfast menu with toast, scrambled eggs French toast with maple syrup, orange blossom and homemade jam. And matcha tiramisu for dessert. Drinks include hojicha (hot charcoal-roasted green tea) and mugicha (cold barley tea). Although his okonomiyaki is traditional in form, Matsuda is creative with the ingredients. Instead of normal Japanese yams – which are hard to find in Melbourne – he uses okra and potato in his batter. He prepares many ingredients from scratch, too, such as his replacement tenkasu (deep-fried flour puffs), made with dried soybeans deep-fried in sesame oil. He also makes his own okonomiyaki sauce, which normally calls for ingredients such as ketchup, Worcestershire and MSG. His version is entirely natural.